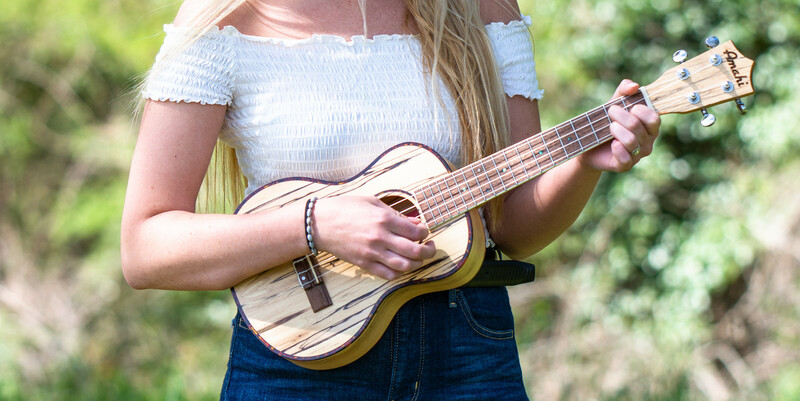 Each ukulele starts as a project of how to improve the overall tonal and intonational properties as well as visual appeal and playability. Their craftspeople professionally setup and adjust the ukuleles in Cincinnati prior to supplying customers throughout North America. They have over 40 employees dedicated to furthering the advancement of music in the lives of children and adults. This ukulele sounds as great as it looks! The flamed maple keeps the tone smooth, but articulate and bright. Check out this demo from our very own Katie Gandy! Amahi really makes beautiful ukes and the spalted maple on this classic series tenor is no exception. The larger body size gives this uke a bit more volume and a more full sound. Listen for yourself! Click Here to see our full inventory!